1 What is a PPF account? 1.3 When should you open a PPF account? What is a PPF account? Public Provident Fund (PPF) is the scheme floated under the PPF Act 1968 by central government. PPF is one of the safest investment product backed by Government of India and also gives tax benefit under section 80(c) of the Income tax act. 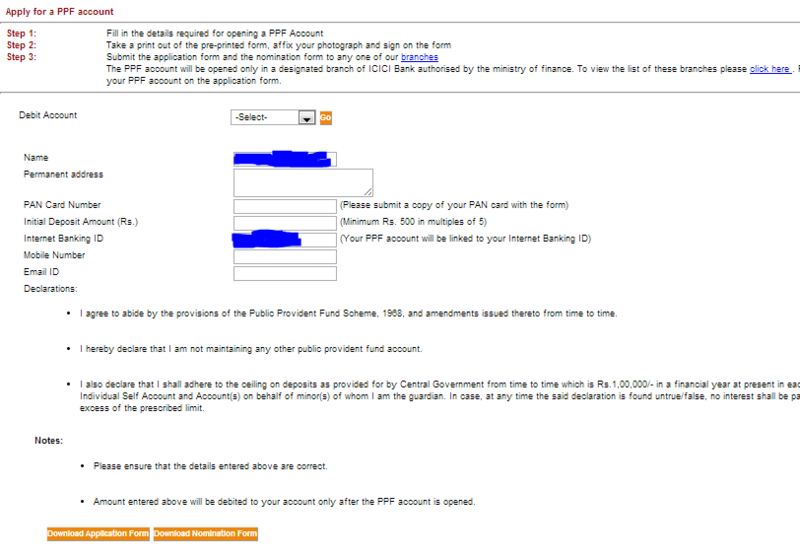 PPF account can be opened with minimum Rs. 100 in a post office, any SBI branch and other authorized offices like ICICI bank and Union bank of India. You can now open an online ppf account with ICICI. Minimum investment in a financial year is Rs. 500 and maximum is Rs. 1,50,000. This investment up to 1,50,000 is eligible for rebate under section 80 C of the IT Act. Deposit in PPF account can be made in either one go or in installments. But you can not deposit more than 12 times in a year. If you forget to contribute the minimum amount in any year then the account will be deactivated. To activate you need to pay Rs.50 as penalty for each inactive year also you need to pay Rs.500 for each inactive year’s contribution. Maximum tenure for PPF account is 15 years. Post 15 years you can extend your account in block of 5 years. Loan facility available from 3rd financial year upto 5th financial year. The rate of interest charged on loan taken by the subscriber of a PPF account on or after 01.12.2011 shall be 2% p.a. However, the rate of interest of 1% p.a. shall continue to be charged on the loans already taken or taken up to 30.11.2011. Loans could be taken from the third year onwards till the sixth year. Up to a maximum of 25 per cent of the balance at the end of the 2nd immediately preceding year would be allowed as loan. Such withdrawals are to be repaid within 24 months. Withdrawal permitted from 7th financial year. You can withdraw only once a year and such amount should not exceed 50% of the balance at the end of 4th year or 50% at the end of immediately preceding year, whichever is lower. Premature closure of PPF account is possible in case of death of the individual. Interest is paid on lowest amount between 5th and 30th of each month, so you should try to deposit in PPF between these 1st and 5th of the month. 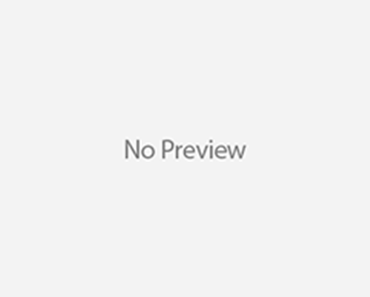 Interest is compounded annually and credited on March 31 each year. Reserve Bank of India from time to time specifies the rate applicable to the PPF account. Rate of interest w.e.f. 01.04.2013 is 8.7% p.a. You can check the latest notifications by RBI about changes in PPF interest rates here. When should you open a PPF account? You should open a PPF account as early as possible. Even when you are a student, you should open a PPF account with min. Rs. 500 deposit. This is helpful as you can see that withdrawal is allowed only 7th year onwards and if you open an account early, you will be able to pass the block period in initial years only. You should also consider your future cash requirement before blocking large sums in PPF account as withdrawals have restrictions. To open PPF account, first you need to open a saving bank account in the designated branch of SBI or other approved banks. It is preferable to open a PPF account with a bank then post office as with banks you can deposit money in your PPF account online. This is really helpful if you have relocated from the city of your home branch. First condition is same in this case as well. You will need to open a saving banks account. Online form once submitted is to be printed, signed and to be deposited in the nearest bank branch. Such online account is linked to your saving account and you can easily see your PPF balance online. Thanks for your comment.. It will be better to first change the names in post office and then transfer. Thank you Prabhat. Much appreciated. My father had opened a PPF account in my name jointly as me being the minor. He paid a lump sump of Rs.4000/- and started the account on 10th Dec 1999. After that it was never maintained. After reactivating the account what will i get, only the original amount or along with the Rs.7000/- which I paid for reactivating. May i know how many days it will take PPF account to get activated once we submit the PPF form filled and required proofs to the bank? A very informative article on understanding Public Provident Fund. I really liked the part “When should you open a PPF account”. Not many Indians think of opening an account in their college days, and the concept comes as a tax saving instrument. However, one must understand that, PPF is a great investment option for an average Indian with a decent interest rate. Thank you for sharing about PPF account in detail. Will like to know the current interest rate. Can any student above 18 years of age open PPF account in any branch of SBI? I have completed four years of my SBI PPF account…during this period I have missed two financial years to deposit the any amount…is it possible to accure interest on the remiaing balance? Yes, student can open but money can not be deposited directly in the PPF account. Ex-NRI can open the PPF account.